Should I nail or glue my bamboo flooring down? 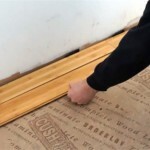 This entry was posted in Bamboo Floors, fitting bamboo flooring, Uncategorized and tagged gluing down bamboo, nailing down bamboo, installing bamboo, fitting bamboo, secret nailing on March 21, 2019 by chris elliott. This entry was posted in bamboo, fitting bamboo flooring, Uncategorized and tagged loose laid floor, floating bamboo, click fitting bamboo, loose laid bamboo, floating floor on February 28, 2019 by chris elliott. Where is Bamboo Flooring suitable to use in the home? Bamboo flooring is durable, hardwearing and versatile and can be used in most rooms throughout your home. It is a great choice of flooring as you are getting a natural floor covering with added benefits of stability, strength, versatility and sustainability. 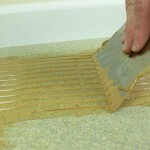 It can be installed quickly and easily over most types of subfloor (as long as they are properly prepared). There are many different styles and colours of bamboo flooring available so you are sure to find something to match or complement the décor throughout you home. This entry was posted in Bamboo Floors, Uncategorized and tagged bamboo underfloor heating, bamboo in bedroom, bamboo in kitchen, bamboo on stairs, bamboo staircase, bamboo flooring, strand woven bamboo flooring, strand woven bamboo on July 5, 2018 by chris elliott. This entry was posted in Bamboo Flooring Company News, Uncategorized and tagged bamboo flooring display, National Homebuilding and Renovating Show, NEC on March 21, 2018 by chris elliott. For further information on Solid Natural Strand Woven Wide Board Bamboo Flooring, click here. Solid Natural Strand Woven 142mm Bamboo Flooring from Kitchener Flooring Ltd on Vimeo. This entry was posted in Bamboo Floors, Uncategorized, videos and tagged natrual strand woven, wide board bamboo flooring, strand woven bamboo video, bamboo flooring video, strand woven bamboo on July 19, 2016 by chris elliott.